Wallace Bickley (“Wally”), 92, passed away peacefully on Thursday, Oct. 25, 2018. He was a devoted husband of 62 years to the late Sophia “Sandy” (Sanzaro) Bickley. Born in Hartford, son of the late Wallace and Mary (Schuster) Bickley, Wally grew up in Ellington, where he attended a one-room schoolhouse and spent his childhood on the family farm, milking cows and picking tobacco and vegetables (mainly cucumbers, which he quickly grew to hate). He graduated from Rockville High School, Class of 1944, and was a World War II U.S. Navy veteran. Wally received a bachelor’s degree in accounting from Bentley College and was a longtime Kensington resident. He was an accounting manager at the former Prentice Manufacturing in Kensington and later in his career worked as the business manager at Child and Family Services (now The Village for Families and Children) in Hartford, retiring in 1988. He was a member of St. Paul Church in Kensington; was a former member and officer of the Berlin Lions Club; and was a member of the Ellington Post of the American Legion. Wally’s greatest joy was his family. He was a devoted father, who was more than proud of his children. He had a strong work ethic that he instilled in them. Additionally, he enjoyed teaching his children how to ice skate, play cards, and took an interest in everything they did from sporting events to performances at halftime shows at high school football and basketball games. He ensured his family enjoyed annual summer vacations, of which many were spent at Newfound Lake in New Hampshire with close friends. He loved the relaxation there, driving the boat while the kids water-skied and having double solitaire tournaments with his kids. He was a social man who loved a good party with dancing and friends. As a couple, he and his wife, Sandy, threw many dinner parties and loved entertaining, especially their annual New Year’s Eve party with their closest friends. Like many from that generation, they enjoyed cocktail hour that included his favorite drink, a Manhattan. One of Wally’s enjoyments was dining at Sans Souci restaurant. There was no other restaurant, in his mind, and over the years he and Sandy proudly brought many friends and family there. Wally is survived by his four children, Alan Bickley of Manchester; Tracey Eck and her husband, Bill, of Wethersfield; Robin Burns and her husband, Tim, of West Hartford; and Barry Bickley, M.D., and his wife, Janice, of North Andover, Mass. He is also survived by a sister, Justina “Tina” McLaughlin of Madison, along with several nieces and nephews. He was loved and will be deeply missed by his 11 grandchildren, AJ, Melissa (Garfield) and Nichole Bickley, Katie (D’Agostino) and Kyle Eck, Tom, Libby and Lexie Burns; and Brianna, Michael and Jaime Bickley. Besides his wife Sophia, he was predeceased by a sister, Eileen Lanz; a stepbrother, Earl DeCarli; and a stepsister, Amelia Stanwood. The family would like to thank the staff at both Arbor Rose and Southington Care Center to the superb loving care they provided to Wally during his time at each of these facilities. Calling hours are Tuesday from 5 to 8 p.m. at Carlson Funeral Home, 45 Franklin Square, New Britain. Funeral services are Wednesday at 9 a.m. at Carlson Funeral Home, followed by a Mass of Christian Burial 10 a.m. at St. Paul Church, 479 Alling St., Kensington. Burial with military honors will follow in St. Mary Cemetery, New Britain. In lieu of flowers, memorial donations in the name of Wallace Bickley may be made to “Arbor Rose at Jerome Home,” 975 Corbin Ave., New Britain, CT 06052. 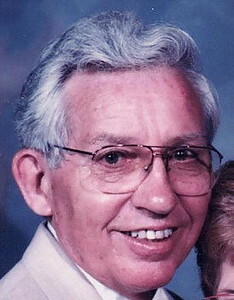 Please share a memory or note of sympathy at www.carlsonfuneralhome.com . Posted in New Britain Herald, on Sunday, 28 October 2018 21:02. Updated: Sunday, 28 October 2018 21:04.